Today, 11 of September, we sadly commemorate a new anniversary of the U.S. backed military coup that deposed and killed the democratic elected Chilean President Salvador Allende, with the purpose of changing a democratic regime and install the fascist rule of General Augusto Pinochet. We also pay homage in this day to the heroic resistance commenced that day by the Movimiento de Izquierda Revolucionaria, MIR. While hundreds of MIR combatants were killed, others were captured in the aftermath of our military defeat in confronting the U.S. backed powerful armed forces of Pinochet. The bloody coup left thousands of deaths, perished in combat or killed by execution squads or assassinated during torture. On occasion of the 100 birthday of the late Chilean President Salvador Allende, the Region of Liguria and the City of Noli organized a commemorative program. Prof. Alberto Peluffo, Vice Mayor of the City of Noli, Italy, asked me to write a personal testimony on the happenings around Pinochet Coup D’État. This is the English translation of the text presented at the occasion by Prof. Peluffo, who read selected excerpts to the public assisting to the act that took place in Piazza del Commune. In the series is also included (Parts I and II) my testimony as Pinochet’s prisoner at the Stadium and the Quiriquina Island camp. by aircraft based in Concepción. I was taken first to the Stadium in Concepción. The morning after I was lined with two other prisoners waiting execution – right under the goal frame – by firing squad. 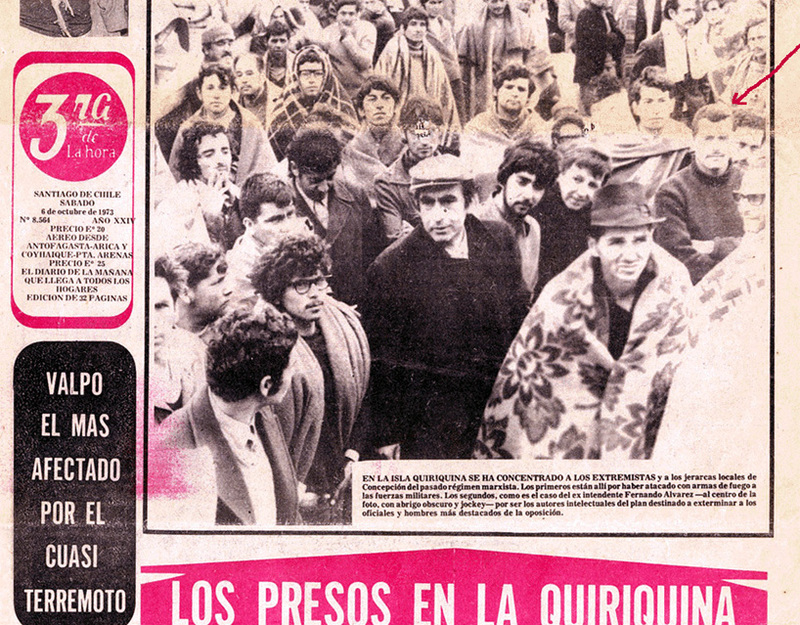 One of the fellow prisoners was the former executive director of the state-owned SOCOAGRO in Chillán, and the other was a 16 years old worker from a “cantera” (sort of stone mine) caught with explosives apparently taken from the mine. I was recognized by a petty officer years before serving under my father’s command. I was saved, and it was not going to be the last time.